Online bookings not only save you a whole world of time but clients also love it! At Shedul, online bookings are key to improving your booking volume and connecting with your clients. 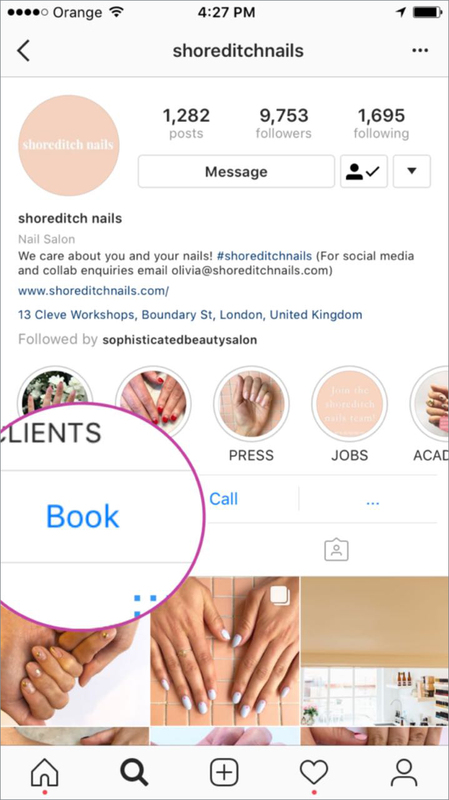 Over 60% of appointments booked online are created outside of regular working hours, so you'll be amazed to see how many new appointments you'll be waking up to with online bookings. You'll still have full control over how your clients book online, so all you need to do is allocate the hours you are willing to work and allow your calendar to fill itself. If your account hasn't yet been upgraded to include Fresha under your Online bookings tab, email us directly at info@shedul.com from the email address you registered with to request your free upgrade. Add key information such as your business description, general opening hours and google maps location. TIP: Upload photos showing off your place of business and services offered. Logos and stock images are not suitable. At least one high-resolution photo is required so that the profile image is not pixelated. 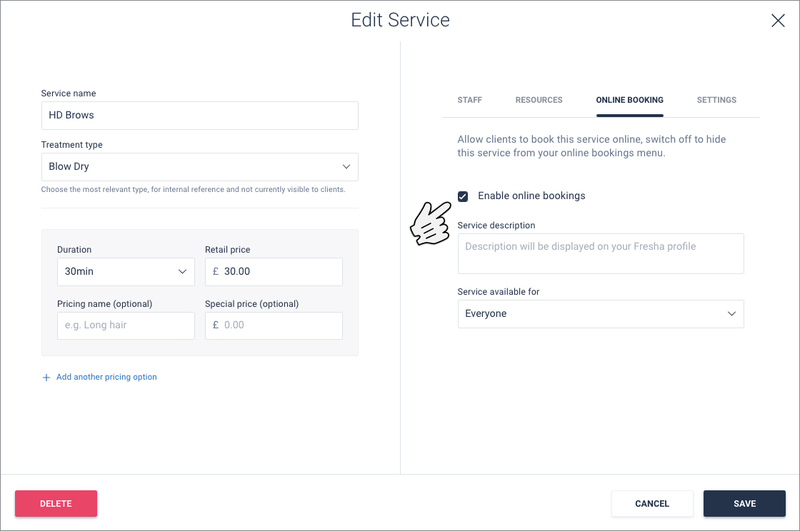 NOTE: Should you need to edit your Fresha Profile at any point, simply head back to Online Bookings > Profile > More Options > Edit Profile and click Save and Continue until you locate the section you'd like to update. Staff to ensure the staff working hours you wish to be bookable are added. Clients can only book online based on the availability you have applied. 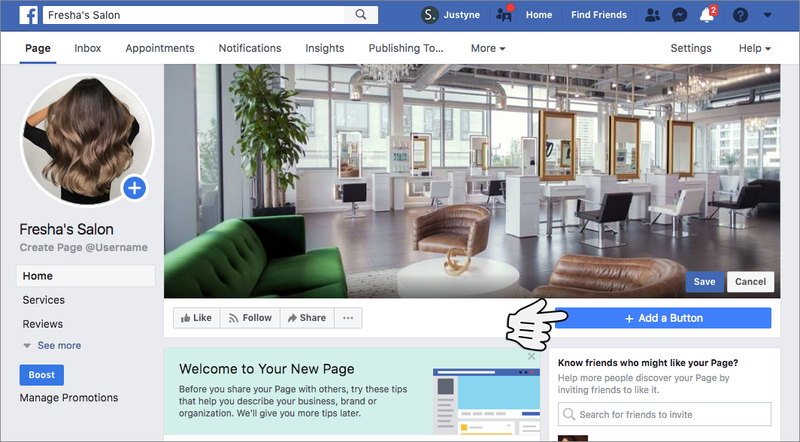 Here you'll find your unique URL (in blue) when selecting the Setup Now button which you can share directly with your clients or add it to your website. 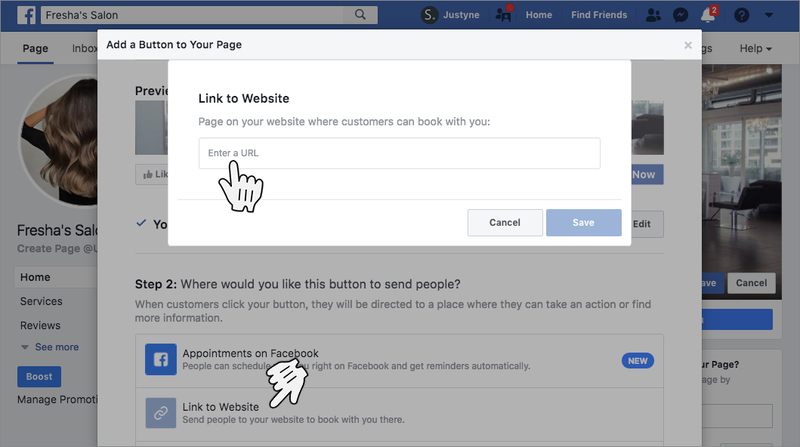 The URL will open your online booking widget onto a new web browser tab to ensure all clients have a smooth online booking experience regardless of which website, browser or device they are using. 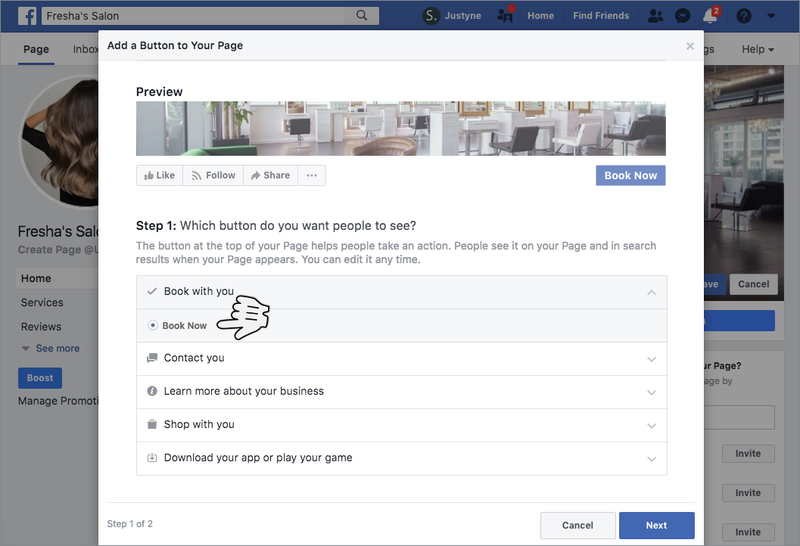 The Facebook Page Button is most effective as it's the first thing the client will see and it is visible on all devices. Apply your Cancellation Notice period by specifying how much notice you'd like clients to give you when managing their bookings eg "Clients can cancel or reschedule online up to 48 hours in advance". This will display as a notification before the appointment is booked. Specify your notice period to accept online bookings eg "clients can book up to 2 hours in advance"
NOTE: Updating this setting will only take effect after clicking Save. Apply your Online Time Slot Intervals should you wish to only take bookings on the hour or half hour etc. Add your Important Information. This is custom text so you can add any important T's and C's or notifications. When attempting to book online, if you receive the notification stating "Your Salon has not enabled online bookings for this location." it is most likely that you have not added Staff Working Hours. 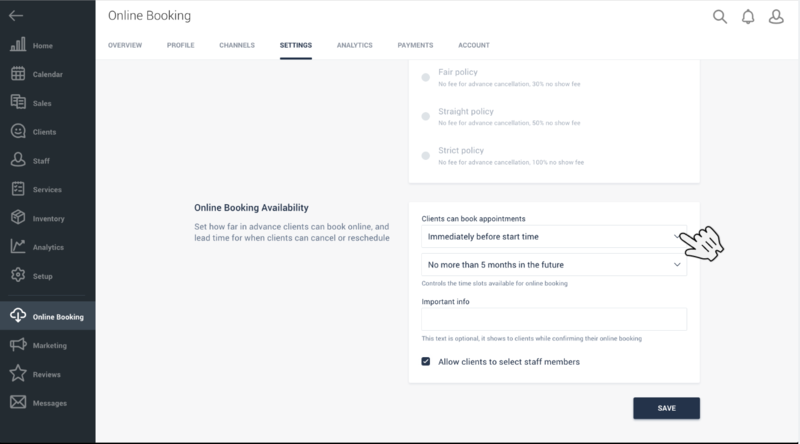 Likewise, if your online bookings are showing no availability when in fact there is some, this will be due to your settings under Online Bookings > Settings where you can specify how far in advance clients can book online. Most businesses apply 'none' to encourage as many last minute appointments as possible, where as if you apply 24 hours this'll mean clients are unable to book with you if there is less than 24 hours notice ie no same day appointments.